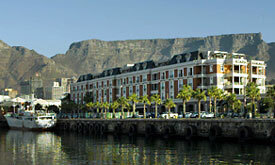 After Breakfast, you are transferred to Cape Town Int. Airport for your direct scheduled flight to Port Elizabeth (Not included) where you are met and transferred by road to Shamwari Private game reserve. 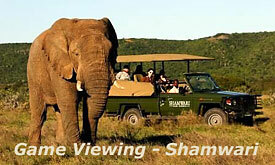 stay 3 nights at Shamwari including breakfast, lunch, dinner, high tea, game drives, guided walks, tea, coffee, water, game drive beverages, tourism levy and 14% Vat (all other beverages are excluded and can be settled upon departure).